Yorkshire CCC director of cricket, Martyn Moxon.' Picture: Jonathan Gawthorpe. MARTYN MOXON is warning that changes to the County Championship from 2020 onwards do not go far enough to help England in their bid to become world No 1. The Yorkshire director of cricket is concerned that the decision to keep two divisions and promotion/relegation will not encourage clubs to pick and develop youngsters who could represent their country. Moxon was part of an England and Wales Cricket Board working party that recently looked at the domestic schedule, which led to counties agreeing that the present system would stay in place, albeit with 10 sides in Division One and eight in Division Two, reversing the current split. 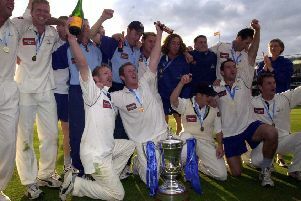 Although Moxon is pleased that there will be less pressure on clubs such as Yorkshire to retain their top-flight status, both he and Yorkshire favoured a Conference-style system that would have scrapped promotion and relegation and encouraged more clubs to field youngsters who could one day play for England. Nine of the 18 first-class counties were in support, but a two-thirds majority was needed to implement change. “It all comes down to the same old issue of England wanting us (the counties) to produce cricketers for England,” said Moxon. My view of the Conference system is that it would allow more for the development of players and encourage longer-term decision-making by coaches. “On the one hand, they’re wanting a highly competitive, cut-throat best-versus-best (Championship) competition, but, on the other, that isn’t necessarily the best type of competition for the development of young players. “As counties and coaches, you need to win now, and there’s a pressure to win specifically because of the two-divisional structure. “There’s this big thing now about not enough young spinners being developed in county cricket, for example, but you haven’t got the time to wait four or five years for a young spinner to develop if you’re under pressure to get results. “It takes longer to develop a spinner than a seamer, I would suggest, and it’s easier to win games through seam bowling unless you doctor the pitches. “Not many pitches in the country naturally deteriorate to help the spinners, so, for me, it’s a dream against reality when it comes to developing spinners and young players in general. “My view of the Conference system, on the other hand, is that it would allow more for the development of players and encourage longer-term decision-making by coaches, who wouldn’t be under that pressure of having to stay in the First Division or having to win promotion. 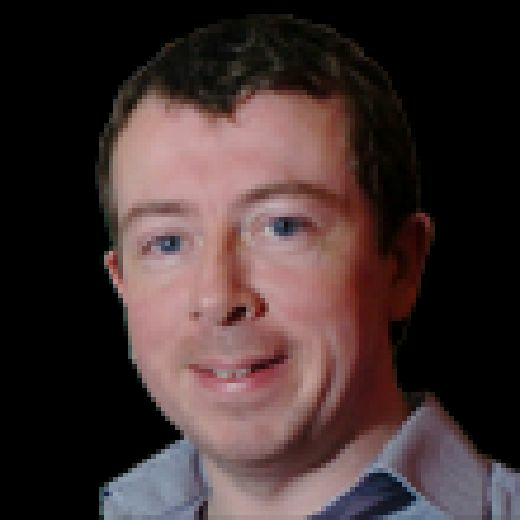 The Conference system Moxon wanted would have seen the 18 counties split into three groups of six, with play-offs at the end of the season to determine final standings. Each county would have had an opportunity to win the title each year, with advocates believing that it would have discouraged short-term thinking/recruitment, with 25 per cent of Division One clubs (two out of eight) relegated last season. To achieve the 10-eight split the other way from 2020, three teams will be promoted from Division Two next year and only one relegated. But opinion remains divided among the counties. “It was split 9-9 between the counties on the Conference idea,” said Moxon, “and we needed to get a two-thirds majority. “It is as it is, but it’s hard for young coaches like an Andrew Gale (at Yorkshire) or a Glen Chapple at Lancashire, with Lancashire having just been relegated, because the pressure to win is so great now that it makes it hard for them to pick a young player who is trying to develop his game, unless he’s an absolute cracker-jack. One upside, feels Moxon, is that the 50-over tournament (the Royal London Cup) will be played at the same time as the controversial new competition, The Hundred, which starts in 2020. He feels that counties can use 50-over cricket to blood young players. “For clubs like ourselves, who are predominantly trying to bring our young players through, it gives us an opportunity for our young players to play against some senior players, because there will certainly be senior players not picked up in The Hundred around the country,” he said. “There won’t be any overseas players in that competition, but there will be a number of senior players who aren’t involved. “You might have a Jared Warner (the young Yorkshire pace bowler) bowling to an Ian Bell, for argument’s sake, in that 50-over tournament.